The 18th Summer Open saw reigning club champion Jon Evans recapture a title he first won in the early days of the event (the OTT Summer Open, remember that?) with a thrilling 3-2 win over top seed Liam Gutcher in the A final. In truth it looked unlikely that Evans, the former Welsh International, would even make the final when he found himself 5-0 down in the fifth in his semi-final against Adam Oliver, who had taken out second seed Matt Hardy in the quarter-finals earlier that day. Gutcher had beaten Wilson 3-1 in another tough semi-final – although when the Northern youngster used his double-handed backhand to great effect as he streaked into a 9-0 lead in the first it threatened to be over quickly – and in the final faced someone 30 years his elder. The Welsh Wizard’s fears looked like coming true as Gutcher looked very sharp in taking the first game 11/5, but Evans never knows when he’s beaten, and he came back to take the next game with the same scoreline before getting the better of three competitive games to take the title. 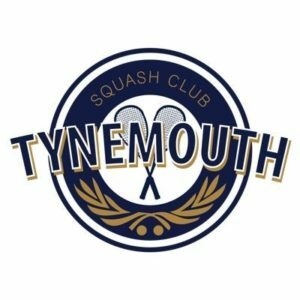 That was Tynemouth’s only title as Steve Robertson lost an entertaining B final, 11/9 in the fifth against Newbiggin’s Dave Jackson, Kevin Jackson was comprehensively outplayed by Consett youngster Matthew Wightman in the C final and Steve Cubbins lost 3/2 to Ashington’s Paul Bell in the D climax. A good tournament, with a few less entries than usual possibly due to the later scheduling – it wasn’t really Summer was it, despite the MCs attempt to liven up proceedings with a canary yellow shirt – but the draws were nicely rounded, all went well and finals night featured a decent crowd and an entertaining series of matches. Thanks to everyone who entered and helped out, see you next year for the 19th edition, hopefully on the traditional August Bank Holiday weekend.